If you caught a glimpse of the news these past few days, there is no doubt in my mind that you have heard about Ted Williams and his so called “Golden Voice”. Though Ted Williams had went to school to become a broadcaster, alcohol and drugs became a part of his life and his dream had disappeared. As he fought for survival on the streets, Williams held a sign that read “God Given Gift of Voice” with the hopes that someone from a radio or television station would find him. Luckily for Williams, Doral Chenoweth, a veteran Columbus Dispatch photographer who now produces videos for the paper’s website, found him last month and asked about his voice. During an interview with ABC News, Chenoweth stated that Williams’ “voice just shocked me when he opened his mouth” (ABC News Steven Portnoy and Calvin Lawrence Jr. 1/2/10). One week later Chenoweth had Williams perform on tape and the newspaper put the video online. Within the first 24 hours Williams video had been viewed more than 30,000 times on You Tube (ABC News Steven Portnoy and Calvin Lawrence Jr. 1/2/10). Williams’ video had gone viral. In turn, viral videos are a perfect tool to consider when working on a public relations campaign. With sites such as You Tube, Google Videos, Twitter and Facebook, a video can be shared with thousands of people within minutes. Lets be honest, now-a-days people would much rather watch a short video than read an article. When considering creating a video it is important to remember that not all videos go viral. Videos must be unique, brief, up to date and overall needs to keep the viewers attention or they will not be passed on. 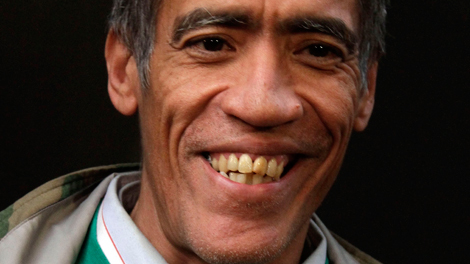 Ted Williams shows us that viral videos can change the way people view things. Once a homeless man, Ted Williams is now known for having a “Golden Voice” and is receiving a countless amount of job offers. So when creating your next PR campaign do not forget the power of the video. Social media is an important tool for everyone in today’s society. For a young adult, it seems crucial to constantly stay connected. If you’re a young communications professional in the making social media quickly becomes your middle name. Forgetting about all of this, I accepted a challenge to go at least one week without logging on to Facebook and Twitter. My answer to this challenge was to add an extra week just to prove that I could handle it. I didn’t realize how much I relied on Twitter for news until I deleted Ubertwitter off of my Blackberry. Normally, I let my traditional media consumption habits fall to the wayside because of social media. The blackout helped to bring a more active media consumer out of me. I visited news websites more often for updates and actually caught myself paying more attention to the 5 o’ clock news. In addition to the Chronicle (which I normally read), I found myself desperately searching for the Daily News to read. In my personal life, I was also absent for a few personal updates via Facebook. I can’t believe I missed a couple of birthdays and relationship status changes! Shame on me, right? These days, when we make a new friend in person, our first or second instinct is to add them to our social network of choice. PR professionals often add their new professional contacts after a successful networking situation. For the past two weeks, I added no one. I started a list of people to follow last week to make sure that I wasn’t missing out on any potential contacts or hurting any feelings. Also, it was incredibly frustrating to realize that there were some contacts that I could ONLY reach through Facebook or Twitter. I made another list to remember whose phone numbers to get after the blackout. As anyone on Twitter knows, there are inside jokes and news exclusive to the site. For example, artists give their Twitter fans a sneak peek of new music, and awareness campaigns gain a following on the site. Of course, I received none of the above. For me, this was just a simple case of being out of the loop until a friend would graciously fill me in. However, in the PR industry, failing to monitor the media especially social media can easily lead to an out of control situation. I had homework before this? Isn’t there anything else to do? The downside was clearly boredom. I had no idea how much of my spare time social media actually occupied. Without my favorite procrastination tools, I had nothing but extra time on my hands these past two weeks. In the end, this blackout was a great reminder of the role social media plays in my life. It did not prove to be a necessity, but it absolutely serves many important purposes. Those functions can help to strengthen personal relationships; as well as help a public relations practitioner effectively do their job. Facebook and Twitter, respectively prove themselves to be irreplaceable in everyday life. I also proved to my challenger (my younger brother) that I could make it without Facebook and Twitter. My real question is, in this day and age, why would anyone want to? The negative reaction to the logo spread so quickly online that Gap had to quickly act and release a campaign in response. The company let designers upload their own logo designs for a contest (keep in mind, there was never supposed to be a contest). A few days later, Gap scrapped the contest and the new logo. They returned to their original design of 20 years. 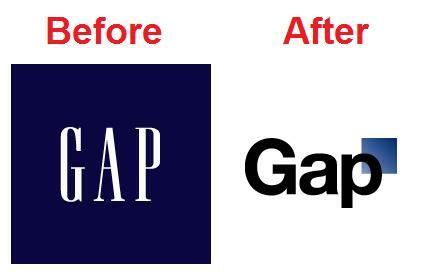 In my opinion, the Gap seems somewhat incompetent for releasing a new logo, then releasing a logo contest, and then scrapping both, but the company has displayed this past week that it is closely connected to its audience. The Gap should be praised for how quickly it has responded to the outbreak. The company’s PR/Marketing teams definitely understand the power of social media. Overall, the Gap should not take this week as a complete defeat. I came across this article online and never thought about all the PR Gap has gotten this past week. The company is currently all over the Internet whether its blogs, Facebook, or Twitter. There are so many news stories too right now about the logo. They should not be mocked for releasing the logo, but rather applauded for listening to consumers and responding quickly after the fact. Great crisis PR work on their part! It is amazing that social media was the cause of this entire outbreak. Never underestimate the power of Facebook and Twitter. Twitter began to launch its new interface a week or two ago. Not everyone has been fortunate enough to test it out, but many users have already made the switch. Since the announcement, I have checked my personal Twitter account everyday to see if I am one of the lucky ones. I am still waiting for it on my Twitter page, but I have been able to use the new interface on other pages I run for school organizations and for my client at my internship (just got the new Twitter there today). From what I have experienced so far, I give it a big thumbs up. Twitter developers have made a lot of improvements that will change the way we can use the site. I feel that popular Twitter dashboards such as TweetDeck and HootSuite influenced some of these changes. Twitter has to keep up with their features because I know that for a while I was not even logging into Twitter because I enjoyed tweeting right from my desktop on TweetDeck. On the new Twitter, you can now get details about every tweet separately on your page, such as who retweeted it and who responded to it. From the same window, you can view a full profile of every user who tweeted at you without leaving your Twitter page. Also, when a link to a picture or video is in a tweet, you can now preview them right from the same page. These are just a few of the new additions. The new layout is very user-friendly. 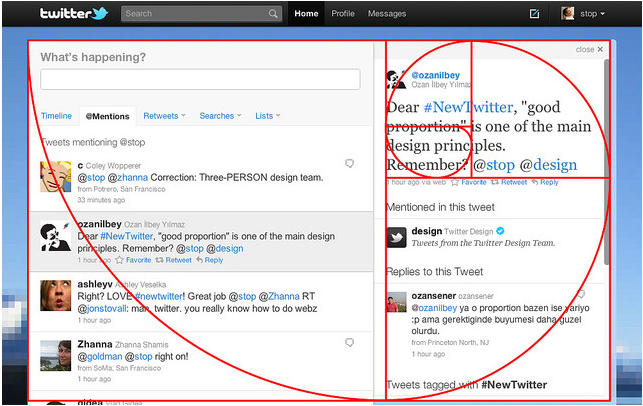 What caught my eye today that I didn’t know before is that the new layout of Twitter is designed after the Golden Ratio. 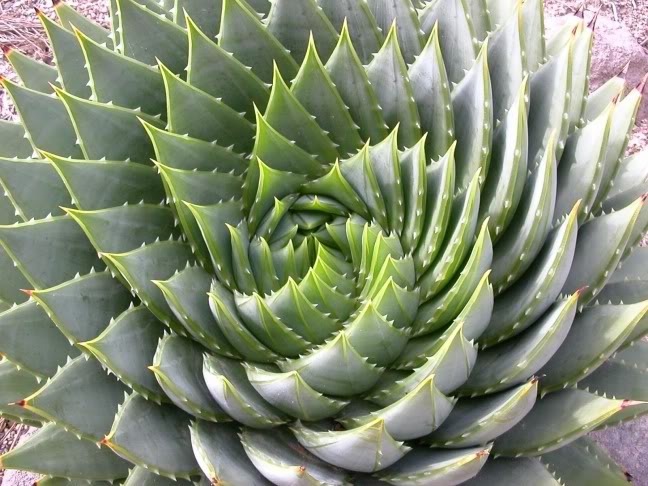 For all of us who don’t remember middle school math like myself, this is what the golden ratio is. Yeah, doesn’t make much sense to me either. Cool, right? According to Twitter’s Creative Director Doug Bowman, “To anyone curious about #NewTwitter proportions, know that we didn’t leave those ratios to chance. This, of course, only applies to the narrowest version of the UI. If your browser window is wider, your details pane will expand to provide greater utility, throwing off these proportions. 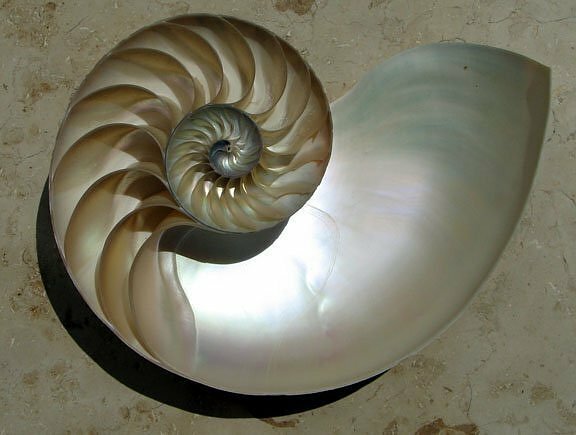 But the narrowest width shows where we started, ratio-wise.” As a designer, it is inspiring to see how much thought was put into something that seems as simple as a Twitter design. Every detail was placed in a specific way to make the Twitter experience an overall better one for all users. Have any of you been lucky enough to get the new Twitter yet? What do you guys think? Let me know! Not everyone has this “real-time” addiction. Our generation does not have patience for anything. We want EVERYTHING done instantly, whether we are on the computer or out at a store. People can’t even spend the time to wait in a grocery line anymore. We now have the ability to scan our groceries with a little gadget while we are picking them out in the aisles. Have a stain on your shirt? Don’t worry about waiting to go home to wash it. Take out your Tide to Go pen and remove that stain right away! These are just two examples of the fast-paced direction we are moving in. This post was sparked by a tweet I saw from Mashable which read “Google Instant Search Feeds our Real-time Addiction [CNN]” with the provided link to the article that Pete Cashmore wrote for CNN. The article discusses the new phenomenon that Google released this week called “Google Instant.” I began to see this new feature last night on my laptop while I was Googling away and to be honest, I am not a fan. For those of you who haven’t realized, when you now Google something, search results appear as soon as you begin typing. So literally every time you add letters or words, the search results change live right in front of you before you even finish what you are typing in the search box. What’s next? Is Google going to read my mind and I won’t even need to type in the search box? I am an avid user of social media and my addiction to the Internet/computer is abnormal compared to most people I know, but I just don’t like being classified as being part of a generation that needs everything in real-time. I can wait the extra 2-5 seconds to click “Google Search.” There is just too much going on now while I type on Google. Not only are suggestions still showing up below the search bar (which I have always been a fan of), but now the search results are changing every second or two. It is almost annoying because I find it distracting while I am trying to type. I find it amazing how far Google has come since my childhood, but honestly I find this feature unnecessary. I Google everything, and I have never thought of or even desired this instant result service. Cashmore explains in the article why Google added this service. He talks about the increase of fast internet connections and the flow of information on the Web. People have become so used to the “real-time Web” by using social media that we have become conditioned to expect immediate access to all information and news. Social media also recommends content and delivers information to us without any searching involved, while users have to specifically search on Google. Google’s suggestions while you search is an attempt to resemble social media. Supposedly the search feature takes into account your search history, location, and other factors. It’s crazy to think how much social media is shaping the news and web. I am a 20 year-old student who doesn’t live under a rock, and I can tell you I don’t mind waiting in a grocery line once in a while or clicking a search button on Google. Do any of you agree? Disagree? Let me know.